Anti-squirrel baffles (also called "squirrel-proof baffles") are dish or tray shaped objects mounted on bird feeders with primary role to act as mechanical barrier preventing squirrels from reaching and stealing bird food. 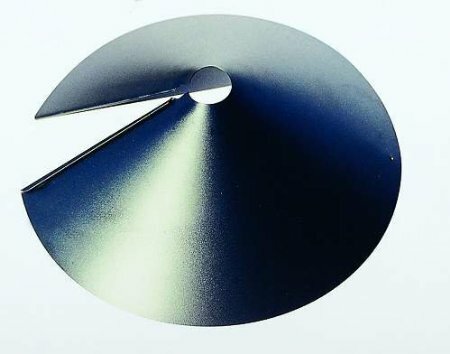 Squirrel baffles are usually made of resistant metal or plastic materials in order to stand different types of weathering, but also to withstand squirrel bites and weight. Secondary role of squirrel baffles is to act like umbrella and help protect bird seed from rain, snow and intensive sunlight that can lead to seed germination or mold. Those special baffles that come from the above of the feeder are usually called "domes". 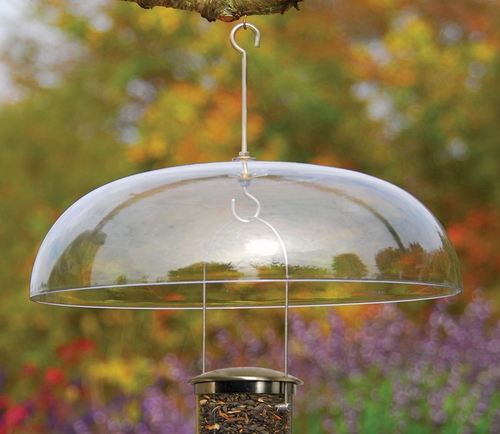 Though some types of squirrel proof bird feeders already come in package with anti-squirrel baffles included (like this bird feeder with anti squirrel baffle), most of "non squirrel-proof" feeders require squirrel baffles to be bought and added separately. Here comes tough part: how to choose effective anti-squirrel baffle? The truth is: choosing great squirrel-proof baffle hugely depends on the type of the feeder you already have! 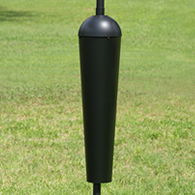 Is it hanging bird feeder like the one on the image above or pole mounted? Then if fixed on pole - is the pole round in shape or square shaped? I guess you understand this is important for bubble tray to be fixed properly to the pole. And there's one more thing: take into consideration the number of baffles your feeder needs because sometimes it is good idea to squirrel proof your feeder with not one but two baffles - one from the above and the one from bellow the feeder. This is of great importance, especially in case your feeder is on the pole. Although general tips are hard to give, there's still one tip you should remember when choosing the baffle - always go for a baffle that is wide in diameter! The wider the baffle tray is, the harder it is for squirrels to make past the baffle, so for the best results try not to choose anything less than 15" in diameter. And one more thing to remember - there are some very decorative anti-squirrel baffles out there but don't get carried away by beauty. Think of functionality in a first place and put aesthetics on a side when pondering your future squirrel-proof baffle. Where to buy anti-squirrel baffle? Before final decision on purchase, it is always good idea to check as many baffle models as possible, to read baffle reviews from people who already bought it, and to check for possible discount prices... Therefore, I strongly recommend visiting Amazon's baffle galore first because there are some really good products there.